The New York Yankees led 3-1 while going into the seventh inning against the Houston Astros, but a two-run double from Robinson Chirinos tied it up at three. The runs came off Zack Britton, but the loss was charged to Adam Ottavino who gave up a run in the eighth. 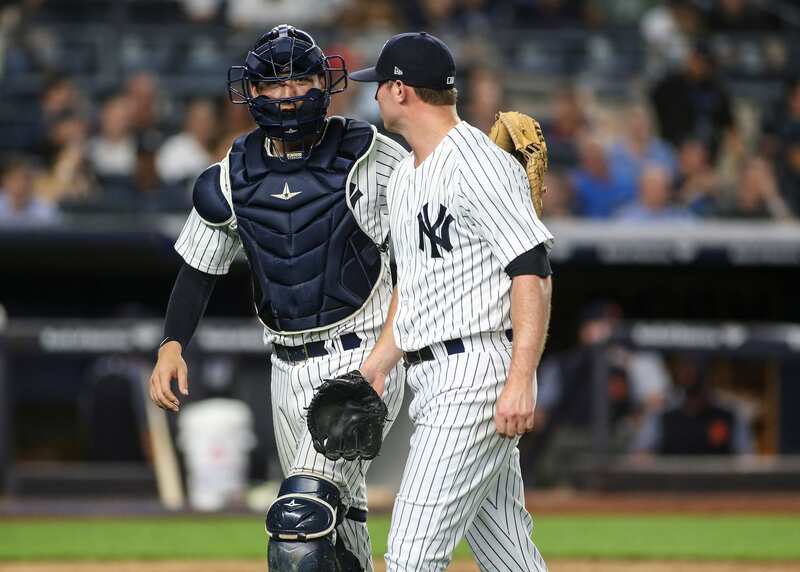 The Yankees had one last chance in the ninth, but lineouts to right by Aaron judge and Giovanny Urshela and a pop out by Brett Gardner sealed the loss for the Bronx Bombers. Aaron Judge hit a line drive home run to right for his third homerun in as many days. He went 2-for-3 as he also added a single. He hasn’t struck out since Saturday, which is a huge positive. Clint Frazier kept up his hot bat on Monday, going 2-for-4 and clanking a line drive off the wall in left for an RBI. Since being called up, he is 9-for-21 and that includes going 0-for-3 and 1-for-3 in his first two games. The other RBI came from Luke Voit on an RBI single. Despite under .200, he has been very productive at third in the order with two home runs and nine RBIs. For the third straight game, Masahiro Tanaka was fantastic. Tanaka threw six innings and just 78 pitches, 50 of which were strikes. He only struck out three, and gave up just three hits and one run. He was also able to get nine groundouts, something that the splitter and the slider make you do. Tanaka’s one run given up was a 448-foot bomb by Jose Altuve who used all 5’6, 165 lbs of him to get that one as far as it went. That was just the first home run given up by Tanaka this season. The bullpen wasn’t great on Monday, Britton gave up two and Ottavino gave up one. The run off of Ottavino was on an infield single, and Carlos Correa beat it out with his lightning speed. The two runs off of Britton was from a deep double, which unsurprisingly Britton was unhappy about. Game two of the series will take place on Tuesday at 8:00PM (ET) with Jonathan Loaisiga taking the ball for New York against Gerrit Cole of the Astros. The game will be on ESPN, YES Network, and FOX Sports Go.